Plumbing marketing is a simple idea that presents a difficult challenge. Contractors know that service promotion is important and understand its correlation to success. What they often fail to grasp is how to optimally define, measure, and execute a marketing plan. Plumbing marketing is the action or business of promoting plumbing services, including market research and advertising. Since marketing is either an action or a business, and often both, it can be measured by result and revenue, and often both. Because the action of promoting a plumbing service is so wide-ranging, pinpointing a single metric that reveals success or failure is illogical. The truth is that measuring plumbing marketing involves several or more sets of data and the analysis of each. Because marketing can entail everything from Search Engine Optimization (SEO) to Pay Per Click Advertising (PPC), a broader examination is required. When viewing marketing strictly as a business, its measurement becomes more straightforward. In these cases, quantifiable metrics such as revenue or return on investment (ROI) can tell most, if not all, of the story. To execute a marketing plan, plumbers need information, strategy, and labor. Without them, there’s no effective way to follow through or to feel confident in the process going forward. Most contractors and companies are pressed for time and don’t feel that they have enough of it to properly allocate marketing resources. Research is one way to gather info about markets, target consumers, and the processes of reaching them in 2019. Because of Google and advancements in technology, information is available at our fingertips 24/7. Smartphones with WiFi connectivity empower plumbers to gather intelligence anytime, anywhere. This has a downside to it however, since an excess of information naturally produces some that is inaccurate, misleading, and even manipulative. Other ways to gather information include consultation, networking, and even training. Information itself is very raw until it is analyzed, organized, and conceptualized. 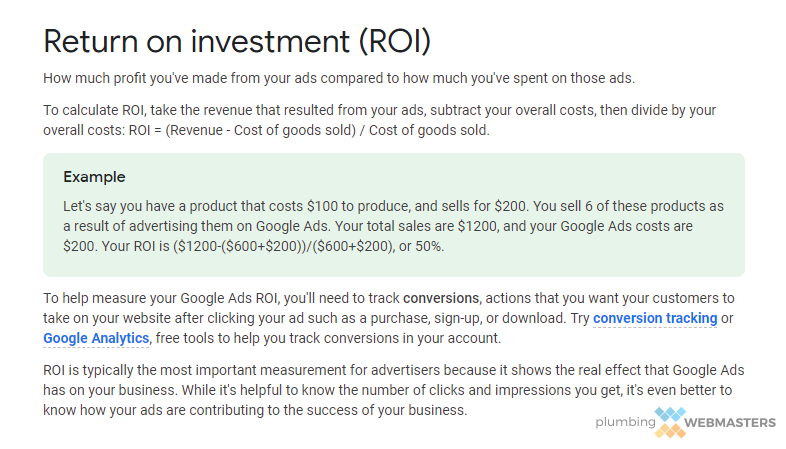 For example, reading about the cost of a plumbing website can provide ideas and even cost figures, but until you decide what you’re willing to pay for a website and how much ROI you expect it to generate, it isn’t all that valuable. Developing a strategy solves this problem. If through research you can determine that you hope to make x amount of dollars through marketing this year, you can begin to formulate a plan that projects to achieve that goal in a defined timeframe. Planning and doing are two different things. Plumbers can have the best strategy for marketing success, but without the labor to perform the tasks, it is inconsequential. 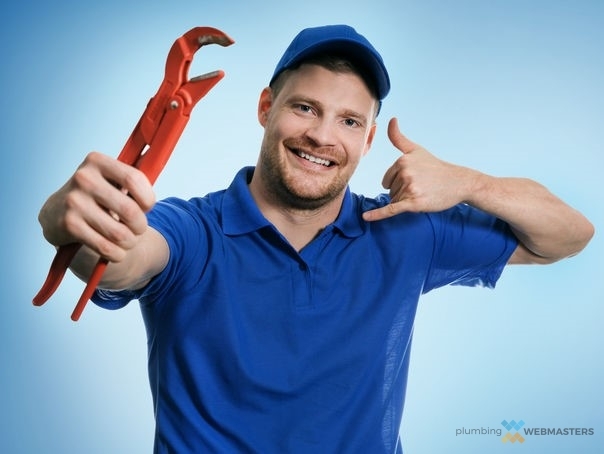 You’ll learn later why a single person cannot possibly perform all the actions that make up a promising marketing campaign, and why having a team of individuals with unique skill sets is the most ideal scenario when promoting plumbing services. At Plumbing Webmasters, our team meets those exact needs. Call it a sales pitch, but we intentionally built a team of webmasters to provide the skilled labor required to execute a marketing plan in 2019. Every form of promotion is marketing. Whether you buy billboard space on your local highway or you build a branded company website and publish it online, you are promoting your plumbing services. Think about the times you’ve left business cards on the windshield of parked vehicles or left fliers in the mailboxes of nearby homes. That is marketing. In fact, marketing happens even when you don’t realize it. When you are discussing your service with an acquaintance, thinking of it more as a friendly conversation but making sure to “sell yourself” just in case, you are actually marketing. Contrary to popular belief, marketing doesn’t have to be manipulative, but in confirmation of that same belief, it certainly can be. If you were to breakdown the list above, you could place every way to market within one of two general categories which are inbound marketing and outbound marketing. The former aims to pull potential customers into your services organically while the latter is designed to go out and get them, per se. Most traditional forms of marketing (including advertising) are considered outbound. Newer strategies, most famously; SEO, are categorized as inbound promotion. The main distinction between the two is that outbound marketing is both intrusive and iterruptive while inbound marketing is notably less so. Since outbound promotion relies on “going out to get” potential customers it tends to require greater financial investment. The most common example of this is Google Ads (PPC) which is a modern form of outbound promotion and costs much more to execute than SEO which is the modern face of inbound marketing. One old school promotional tactic that has been rendered obsolete by the onset of inbound marketing strategies, particularly those that are digitally relevant, is billboard advertising. 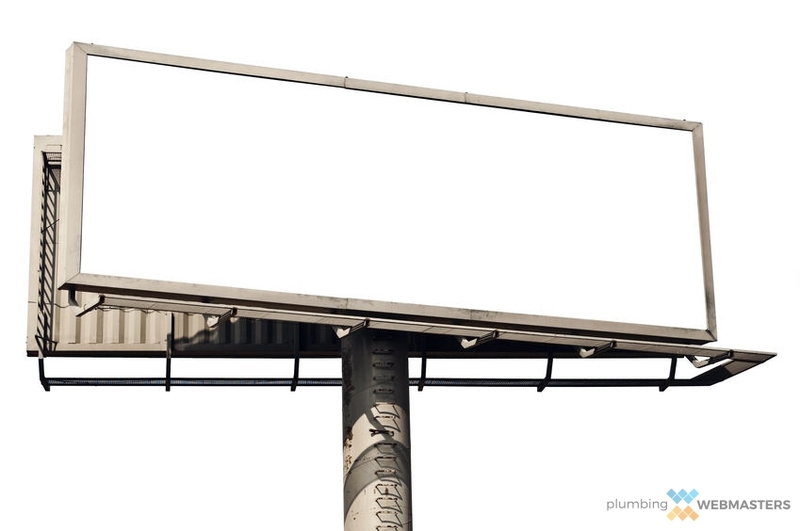 When drivers pass a billboard for your plumbing services, the likelihood of the ad being relevant to them at that time and place is very low. 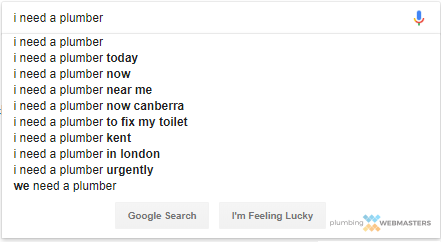 Compare that to the relevance of a search result for your plumbing services that is revealed to someone who typed in “plumber near me” on their smartphone. In the latter case, the person viewing your search result has already demonstrated a need for your services which makes the relevance of the search result much greater. It so happens that the cost of securing that search result is also much lower than the cost of the billboard, making it that much more advantageous from a marketing perspective. 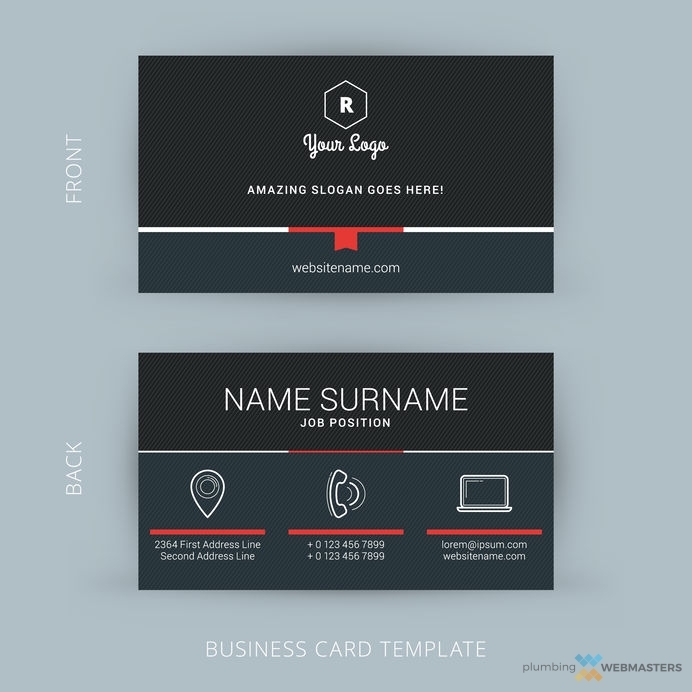 Although they can also be categorized as old-school marketing, business cards remain a worthwhile investment for plumbers, if for no other reason than their sheer cheapness. The investment in these paper-thin promotional materials is so miniscule that any benefit at all would make them “worth it.” There’s also a degree of interpersonality that business cards can aid. After completing a plumbing service for a paying customer, leaving them with a card that lists your contact information, and a reminder to review your service on Google or Facebook, can increase callbacks, customer retention, and of course; reviews. So while business cards are unlikely to “bring in” customers they can assist in retaining and maximizing the ones that are compiled through other marketing methods, such as search engine optimization (SEO). One new-school form of promotion is content marketing. Whether it is a social media platform like YouTube or a search engine like Google, content is the internet’s lifeblood. Without content, Google could not exist, Facebook could not exist, YouTube could not exist, and so on. The opportunity present for plumbers is creating content assets and marketing them through all of these different channels. 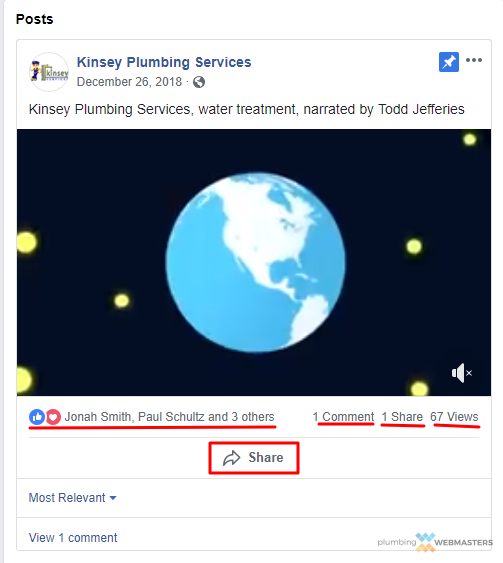 An example of content marketing would be writing a highly informative blog post about common plumbing problems and sharing it on Facebook, LinkedIn, and Twitter. As word of this blog post spread via search engine and social media, it would begin to funnel visitors to your homepage while growing brand awareness. If it became secure on page one of Google, it would start to earn inbound links naturally, improving its ranking even more. PPC is the intersection between modern and traditional marketing. The concept itself is conventional, but its application is very contemporary. You might think of Google Ads in comparison to the aforementioned billboard example. The difference with ads on Google is that there is relevance that can be demonstrated and tracked. In fact, Google allows advertisements to target specific keywords, locations, and demographics. This way, ads are revealed only to a group of people that are worth advertising to. This same tactic cannot be applied to a billboard campaign, since plumbers could not possibly track everyone who sees it. While Google Ads are decidedly modern in application, keep in mind that they are still a form of outbound marketing which makes them both expensive and in some cases, off-putting to consumers. There was a time when an ad in the local newspaper, or even the Yellow Pages, was enough to generate high quality plumbing leads. Those days are long gone and print ads no longer carry much weight to prospective clients. There’s more than one reason for this phenomenon, but the most obvious one is rather straightforward; nobody reads print anymore. Ok so “nobody” is an exaggeration, but the decrease in print viewership from the late 90’s is astronomical. Most newspapers have transitioned to digital formats as their flagship distribution channel and that is of course because their readers will only show up online. 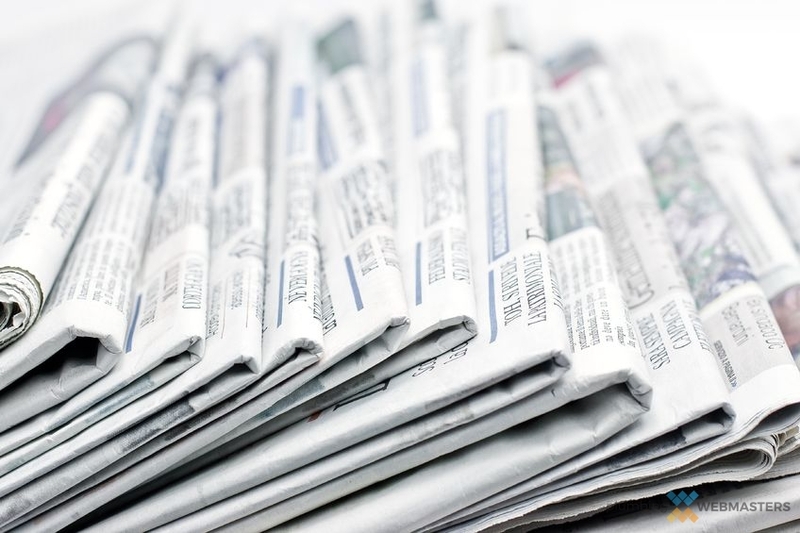 Being mentioned in a newspaper article still holds value in 2019, but only if it’s digitally published, and preferably with a link back to your website. Inbound links serve as endorsements in Google’s algorithm. If there’s one marketing method that can be considered both inbound and outbound it would be remarketing aka retargeting. Remarketing is the process of advertising services to someone who has already demonstrated interest in your service in one way or another. Most times, this interest is made clear through the act of website visitation but can also be expressed in other defined events, such as the watching of a branded YouTube video. If someone browses your website, or watches your video, their interest in your ad is theoretically greater than someone who has not. 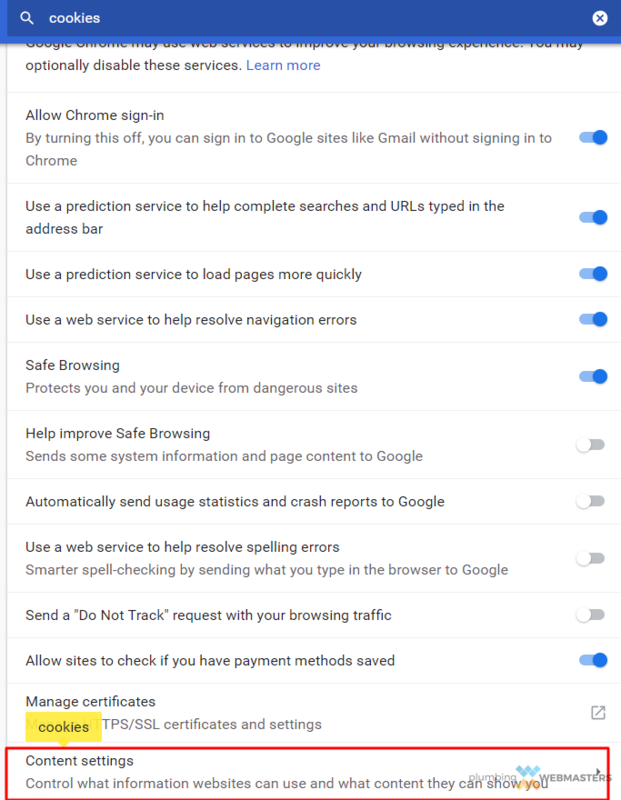 These users can be retargeted using browser cookie tracking. The numbers back up retargeting as a promotional method by showing significant increases in conversion rate to groups who have shown prior interest in the service. The prior interest of the consumer was inbound while your promotional targeting of them is outbound. 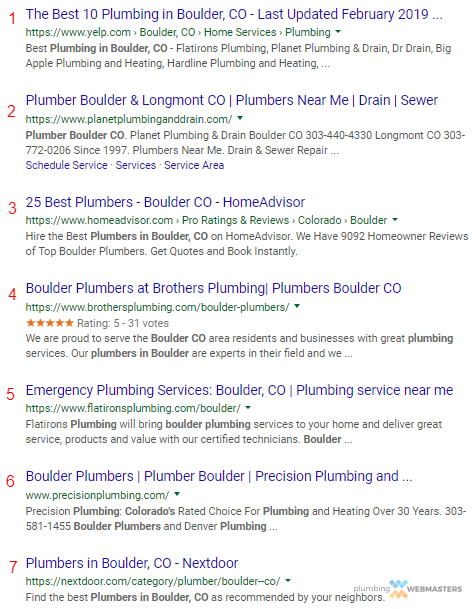 SEO is the most effective marketing strategy for plumbers in 2019. It checks all the boxes discussed on this page. It is a form of inbound promotion, consumers reach it at their most preferred source (Google), and it is incredibly cost-efficient. Furthermore, it can be easily tracked, monitored, and analyzed at all times. While paid advertising methods like Google Ads (PPC) require a real-time investment for a short-term return, SEO is a concept that necessitates a much lesser investment to secure a long-term business asset. 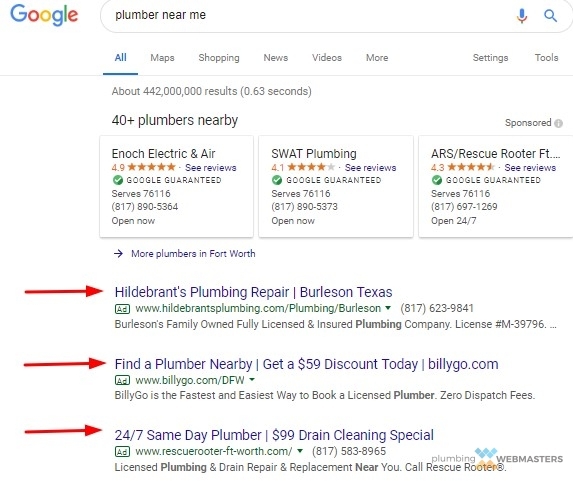 Once search results on Google are established, they can become an ongoing lead generator for years to come and cost you very little as a plumbing company in comparison to other forms of promotion. Google is a constantly evolving search engine, so SEO is always subject to minor changes. You now know about Google Ads but were you aware that social media platforms like Facebook, Instagram, and YouTube also offer ad space? Displaying ads on social media has become an increasingly popular promotional method. This is especially true on Facebook, a social network that has minimized the impact of organic posts from local businesses, including plumbing contractors. Since an organic Facebook post on your business page will no longer reach any of your followers, advertising becomes the logical solution. Ads of course can be expensive but sometimes the investment is worth the trade. Facebook ads can yield considerable ROI if properly constructed, managed, and tracked throughout their lifespan. The process is not dissimilar to the analysis of a Google Ads campaign, and the goal is identical. Ads are not the only way to promote through social networks. Organic posts on Instagram, LinkedIn, Twitter, and YouTube remain meaningful assets for plumbers. While they may not directly generate leads, they can help grow brand awareness and even influence local SEO by sending signals to Google. A presence on social media, even if it effectively as a business listing, boosts company trust and lets Google and their users know that you are a legitimate business and has taken the time to connect with your potential customers through social media. One way to utilize LinkedIn, for example, is to share blog posts published on your website. This helps distribute on-page content to external sources which is helpful for SEO as a general principle. Sharing original photos and videos is also beneficial to plumbers. Remember the days of smashing your Motorola to pieces with a baseball bat? Me neither. But that isn’t so far-fetched to consider when you are harassed by telemarketers. 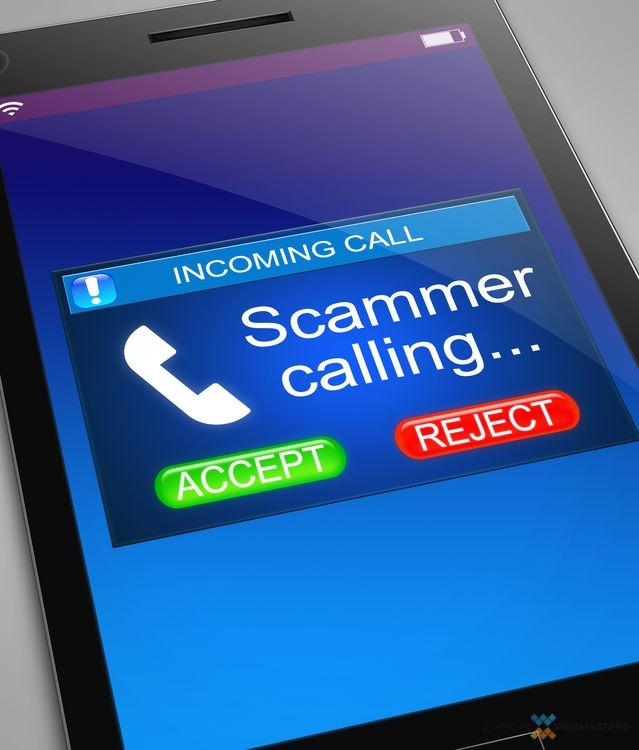 There was always a negative connotation associated with cold calls, but consumers are more aware of their tricks in 2019 than ever before. As a result, the few times telemarketing did work have dwindled to an even less likely occurrence. So imagine calling random strangers in your service area to see if they have a broken pipe in their kitchen. Here’s a tip; if they do, they have already searched Google and found the plumber of their choice to rectify the issue. This means they don’t need you and they don’t want your phone call. They might even block your number on their iPhone or Android device and make a note of your utter disgracefulness. In 2019, the crazy plumber that comes on commercial when you are watching the local news is doing two things; embarrassing himself and wasting money. Flashback to 1999, and he’s only embarrassing himself. But today, there’s no longer an incentive to do so. TV spots, and radio spots for that matter, reach a much narrower audience than they did 20 years ago. The cost of advertising on either medium remains higher than it’s worth and the production of a commercial is not doing plumbers any favors. Uploading a self-made video to YouTube using only your iPhone device has a superior chance of ROI than does a TV spot. Like with other types of old-school promotion discussed on this page, TV and radio ads are a form of outbound marketing and reach a pool of viewers or listeners who will find them mostly irrelevant. Draping your truck in a sized-fit and mobile promotional sticker is not a horrible idea, even in 2019. Although it is certainly a form of outbound marketing and is not trackable in the way that SEO or social media marketing is, it can still provide ROI to plumbing companies. What makes it different than a billboard you ask? For one, it costs less money to implement. Secondly, once it’s a part of your truck it becomes a permanent business asset. With a billboard or TV spot, you are paying an ongoing fee to keep the word out. The truck or car wrap can show your company logo, contact information, website URL and whatever else you choose to promote. Again, it can be a worthwhile investment because it is a one time cost with a lifetime of opportunity to return. There is no fixed fee and it can help brand your business. A plumber benefits from promotion in many ways. Assuming the best strategies are developed and implemented, marketing can literally drive your business to the top of your market. The key is to take the time to create a plan based on research and to invest in the labor required to successfully apply it. Building a brand can seem like “fluff” from the standpoint of a plumber but branding is actually important for a number of reasons and is a product of effective marketing. Brands are built on recognition first and foremost but the ones that you aspire to, are built on trust. Google has shown time and again that trust is one of its most influential search ranking factors. By building a brand through digital platforms (business listings, social media, website) you are legitimizing your plumbing company with a strong and expansive web presence. When people complain about Google favoring brands, they are really bickering about the trust those companies have built through Google and the individuals who utilize its search engine. Sure, is it hard to build more trust than a conglomerate? Yes. But remember, local results get priority for plumbers. Plumbing marketing exists to generate leads. It cannot be any more simple than that. Leads are potential customers who connect with your business in one way or another. Both an email inquiry and a phone call are examples of leads. Leads vary in quality. 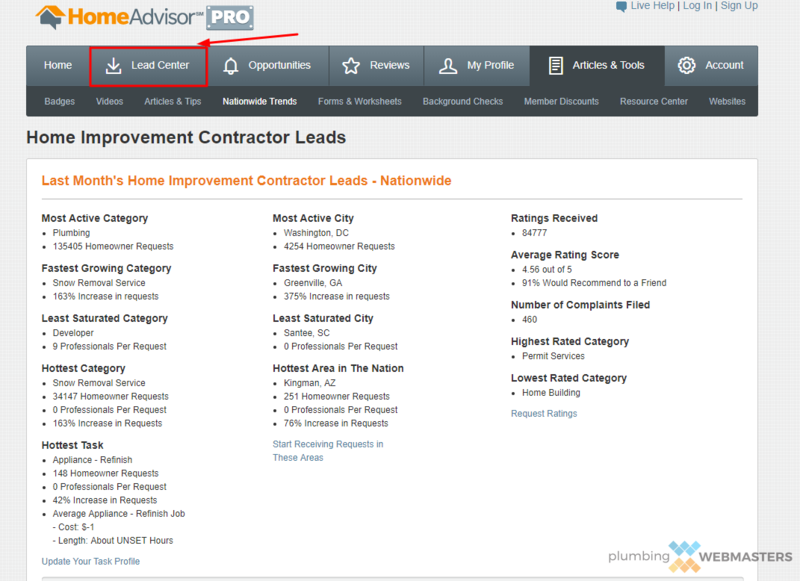 Services that claim to offer “lead generation for plumbers” are not always producing worthwhile leads to contractors. Sometimes they produce what are known as shared leads which implies they are also given to other plumbers in your area, making them less likely to convert into a sale. The best kinds of leads are exclusive meaning the prospect is inquiring only about your services in the email or phone call. SEO produces the highest quality leads (exclusives) which is another reason why it’s so valuable. Advertising, digital or otherwise, is also designed to generate leads. The goal of plumbing companies is to make money. It’s not rocket science. You as a plumber must make more than you spend. This simple equation is known as ROI which is short for Return on Investment. To run a successful business of any kind, the revenue must significantly exceed the expenses. When properly executed, marketing will yield an ROI and sometimes one that is so significant, it changes the trajectory of your life. SEO is one of the most powerful tools on earth because it can help plumbers earn money without spending too much of it. It can get you a larger home, a nicer car, and a better education for your children. No it does not guarantee you any of those things, but it gives you the chance, which is normally enough to justify the investment in the first place. But plumbers must decide for themselves. Marketing cannot be fully explained without discussing the importance of defining a target audience. Sure, promotion in of itself can be marketed to anyone, anywhere, anytime, but as we discussed with some of the specific methods, that is not always the best course of action. It makes far more sense from both a practical and financial standpoint to promote services to a defined subgroup of people. Who belongs to this subgroup is determined by you as a plumber and us as your marketing advisor. Age, education-level, lifestyle, profession, relationship status, residence status. These are each examples of a demographic. Plumbing contractors might find one or more of these quite helpful when defining their target audience. Let’s take residence for example. For individuals who own and, or live in homes (homeowners), plumbing services are highly relevant. After all, they as a homeowner are responsible for the plumbing. Now let’s compare that to people who rent homes or apartments. These people are not liable for the plumbing maintenance. So by and large, they aren’t on the lookout for your services. As you might imagine, it’s cost-effective to promote services only to homeowners and not home renters. Reaching a prospective customer requires some sort of vehicle and we don’t mean your plumbing truck. We are alluding to the medium or channel through which the prospect learns of your services. We’ve detailed some of your options to do this and which of them we believe are the most effective in 2019. In our opinion, Google is the number one medium through which to reach a potential client and the data backs this up. With this in mind, SEO becomes a clear-cut choice for plumbing marketing. Keep in mind that companies are not limited to only one channel. You can reach prospects on both Google and social media, for example. You can even use a truck wrap and also use Google Ads. There’s plenty of flexibility. As a plumber with ambition, your service radius might be “optimistic” to put it kindly. The truth for contractors is that they should not market services to locations they cannot realistically serve in an efficient manner. If it takes you 2 hours to deploy a truck to a location to which you market, it can compromise your business. Not only are you spending on fuel it takes to get there and back, but you are providing a substandard service, and one that a company with a closer radius could easily outperform. Focusing on a radius that you can serve optimally is going to improve your performance and likely help build a superior reputation for your company, including through online reviews on Google and Facebook. We identified measurement as one of three core elements to marketing. But before anything can be measured, it must be tracked. There must be a large enough sample of data to make a measurement worthwhile. There’s several tools that exist that can help plumbers track their marketing data in 2019. 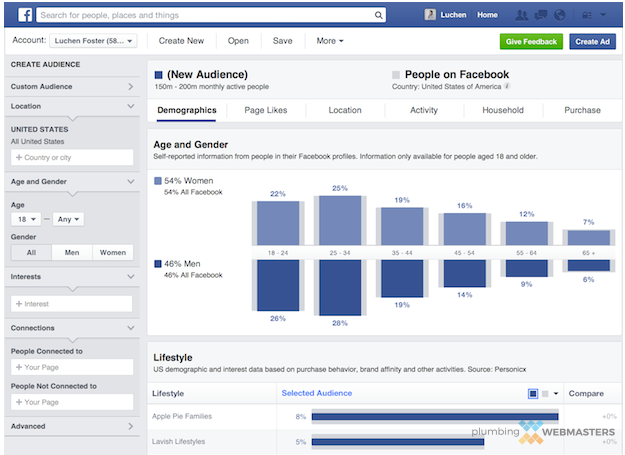 Facebook Page Insights is the platform’s native analytics tool that tracks behaviors of users who visit or interact with your page or posts. It is considered the most powerful native social media tracking tool available online. As we noted before, Facebook no longer a network on which to reach consumers organically. In an effort to bring people closer together they changed the algorithm to return the focus to human to human interactions rather than business or brand to human. 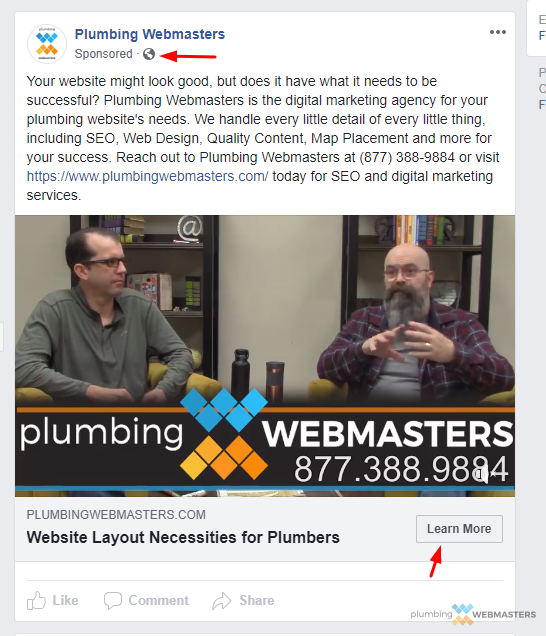 That’s not great news for plumbers, but Facebook Insights remains a useful tool to track the behavior of Facebook users. Google Analytics is the number one tracking tool available online. And why shouldn’t it be? After all, the data is tracked using the best source we possibly have, which is Google itself. Analytics can track data from both SEO and paid advertising campaigns. 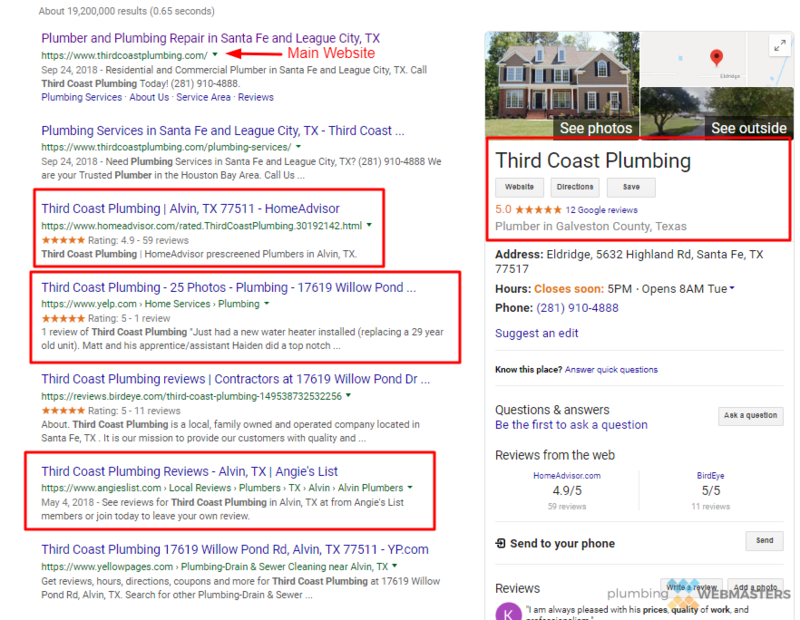 Although they don’t reveal every bit of information, for example; you can’t see all of the terms people search for to enter your website, they expose enough to give plumbing companies a good idea bout where improvements are necessary and where successes are originating. To install Google Analytics on a website, all you need to do is embed the code within the HTML. If you don’t know how to do this yourself, contact a local website designer or programmer. 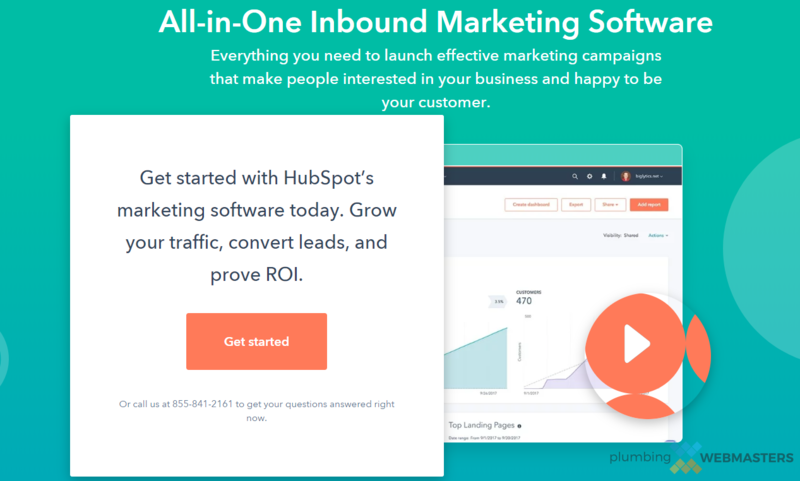 HubSpot Marketing is a marketing analytics software that tracks data from all of your different promotional channels. Unlike Facebook Audience Insights or Google Analytics, HubSpot Marketing can organize information from multiple sources into a single unified dashboard. It empowers plumbers to analyze their data from a broader view. While HubSpot Marketing helps track data as it flows in, its utility is even more impactful than that. The ultimate goal of this tool is to increase website conversion rates for businesses. There’s other kinds of software like HS that exists on the web, but most independent evaluators rank it as the most prominent marketing analytics software available as of February 2019. Our content team is made up of professional writers who are regularly trained in the latest SEO practices and whose work is verified by an on-staff editor. There is a saying in the SEO industry; content is king. That’s because Google has publicly stated its affinity for quality content and cites it as the single most important factor in a page’s value. We produce highly relevant content that is original, relevant, and unique. 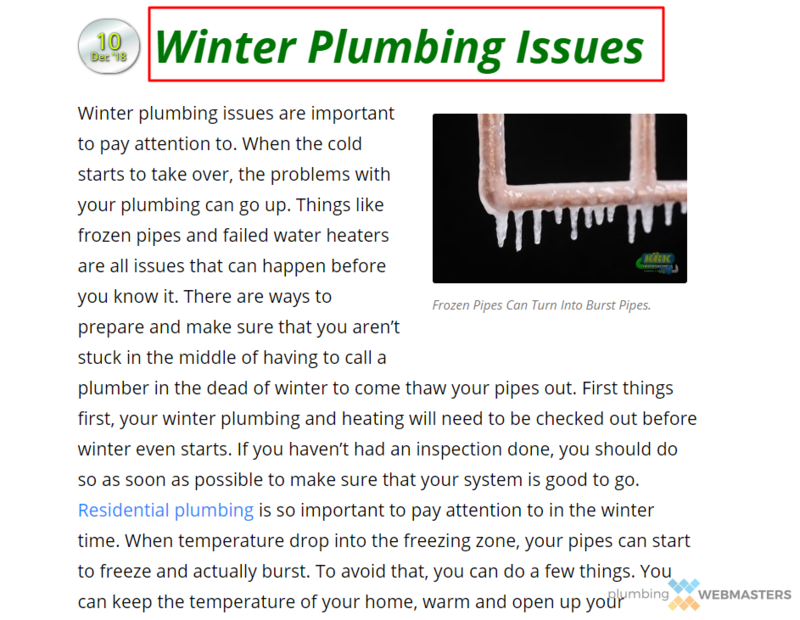 Each piece of content published on Plumbing Webmasters’ designed websites passes Copyscape to confirm its uniqueness and to avoid duplicate content issues. Our writers are knowledgeable about plumbing services and write content for your consumers. We never engage in black-hat content tricks like keyword stuffing. We are a white-hat SEO company. 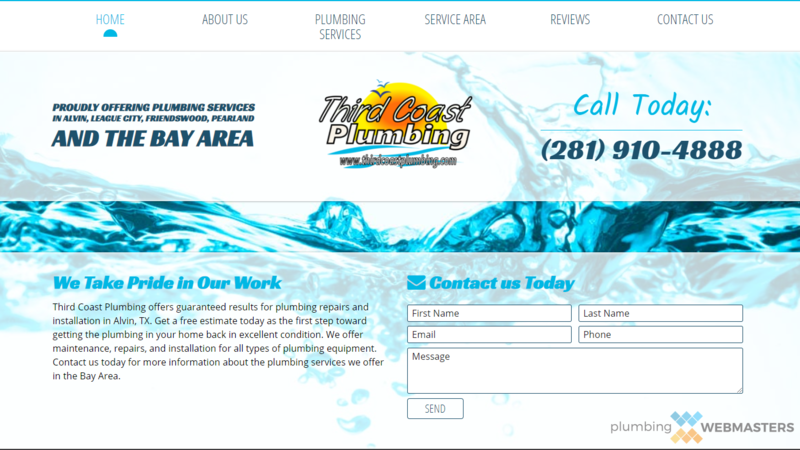 Our website design team is made up of professionals with experience in marketing for plumbers. Each site built by our staff is custom-made and optimized for search. But most importantly, it is designed with clean code and schema markup. There is a direct relationship between SEO and custom design. When HTML code is clean, CSS style sheets are advanced, and schema markup microdata is incorporated, the sky’s the limit for plumbing websites. Visual appeal is also a consideration, and one taken under the watchful eye of the Plumbing Webmasters design team. Although the presentation does not reveal the code behind it, having an aesthetically pleasing display can help increase conversion rates on a plumbing company website. An effective design integrates your company logo and color scheme. There’s a saying in marketing “put yourself on the map” and its never been more literal than in 2019. Today, “the map” in its most literal sense is Google Maps. Search queries are adjusted based on the searcher’s geo-location in relation to the search result. 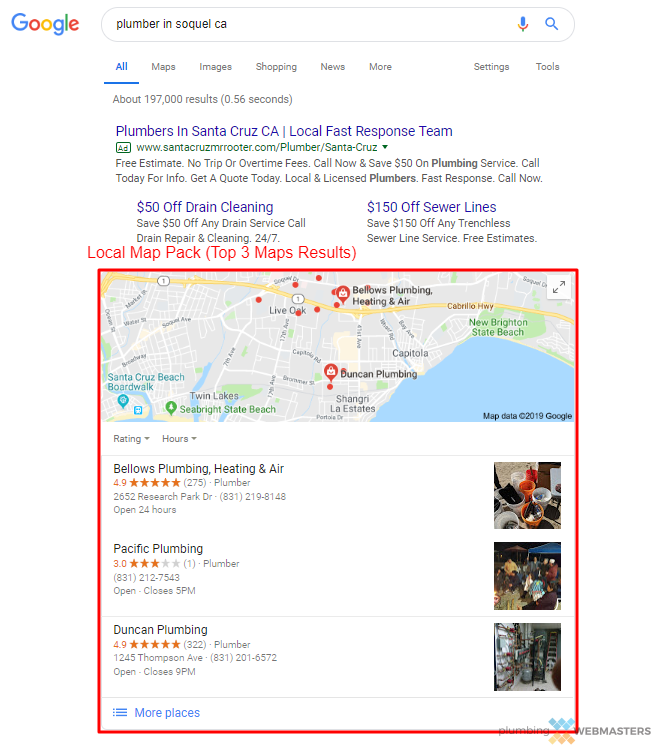 Local SERPs yield a group of results known as the Local Map Pack which is 3 Google Maps listings that are most relevant to the user, based primarily on their own location. Google Maps links with Google My Business to show the aggregate star rating of a plumbing company. 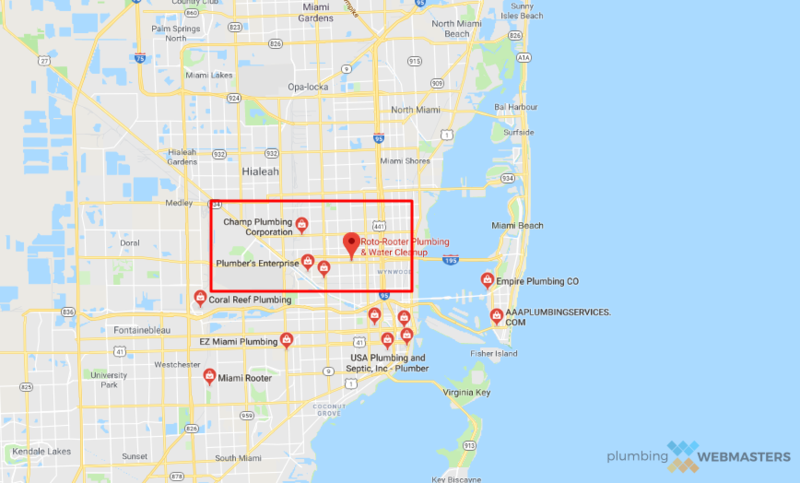 When Plumbing Webmasters conducts mapping services, we are verifying your Google My Business account’s location and optimizing it for local search. We also go to great length to ensure that your Google My Business listing is completely optimized including through the presence of favorable reviews that we help you generate with our native Righteous Reviews website widget. Part of promotion is reputation. How can a plumber most effectively market himself without a solid reputation? For many plumbers, reputation starts with becoming known in their local community. Establishing a name can be difficult enough on its own, but maintaining a favorable perception is even more difficult. The first step in gaining notoriety is to install the Righteous Reviews widget from Plumbing Webmasters. It makes the process of leaving reviews more convenient for customers. They can visit your website and directly submit feedback to Google or Facebook without ever having to leave your site. Additionally, the widget sends text reminders with links so that customers don’t forget to do it while at home. As for maintaining a positive rep … try to do a great job on services and always monitor review platforms for any negativity. If it exists, respond professionally and request its removal if it is unfounded. The objective of SEO is to optimize every aspect of your plumbing company’s web presence. Some mistakenly believe SEO is reserved specifically and only for a website. That is not the case. SEO expands far beyond your main website — although it helps to have one as a central hub. Business directories, external domains, and social media pages are examples of web properties that encompass SEO on a larger scale. There was a time when a website was the only viable destination for a prospective client but that is no longer the case. Google can no longer grade websites exclusive from other factors including but not limited to citations sources and social media signals. Inbound links remain an SEO factor whether Google chooses to dismiss it or not. Sites with quality links generally outperform those without them.